Sustainability. Growing and shopping locally. The health and economic benefits of organic produce. These are all red-hot topics and catchy buzzwords right now when you’re talking about food. Eating sustainably, shopping locally, and supporting local businesses can be a tricky equation when you’re not really educated on the “locavore” conversation. The Chefs Collaborative Cookbook makes it a little bit easier — combining everything that’s trendy in food talk right now with classic, regionally-specific recipes from across the United States. You know we love a good collaboration, especially when it’s providing a best-of overview! The Chefs Collaborative is a non-profit group of chefs from across America that are redefining the sustainable food landscape throughout the country by way of their own restaurants and recipe outreach programs. 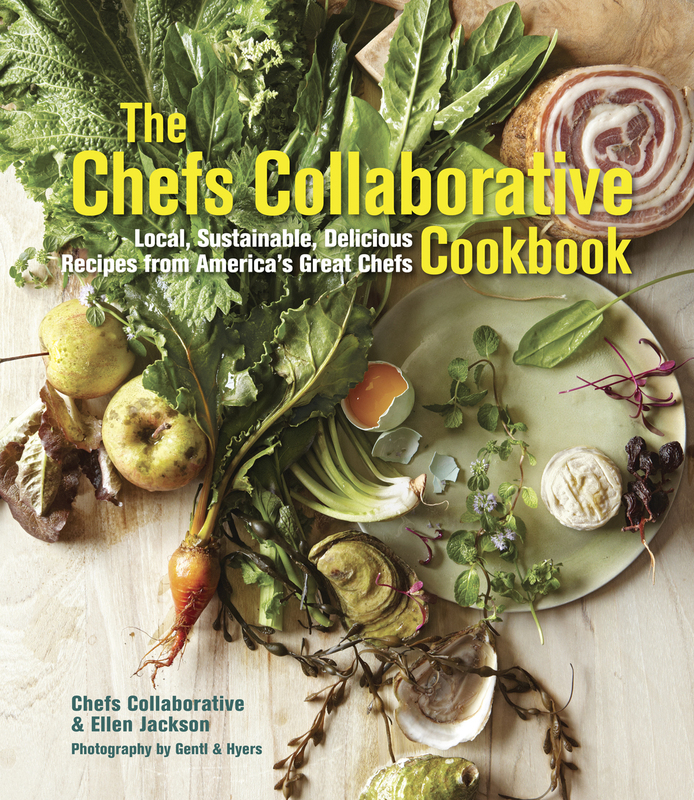 The Chefs Collaborative Cookbook is the cause in a nutshell – equal parts informative and inspirational, the cookbook will educate you about your area’s most sustainable foods and give you great ideas about easy dinners you can craft tonight! The cookbook’s contributors include some of the country’s top chefs and members of the collaborative, like John Ash, Rick Bayless, Susan Feniger, Nobu Matsuhita, Nora Pouillon, Michael Romano, and Alice Waters. With stunning photography and refreshingly original recipes, this is one of the coolest cookbooks I have seen out there. If you want to craft the best New York style sirloin or learn how to live off your region’s land, it’s all located in this massive collection. If you have ever wondered which plants are local to your very own backyard or which fish are naturally abundant in your nearest body of water, this cookbook details it all. And perhaps most importantly, this cookbook teaches you how to adapt any recipe to spotlight the foods of your area — in case you are dying to try a recipe that is not specifically catered to your own region. This book features a great overview of great American recipes, so it’s one that you can have in your collection for years ahead. Kick up your daily dinners or be inspired to construct a detailed masterpiece! The photos in this book are so amazing. You want to use these ingredients right off the page.